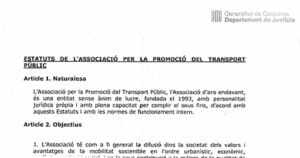 The Association for the Promotion of the Public Transport, PTP, is a non-governmental non-profit body founded in 1993 and declared of General Interest by the Catalan Government’s Justice Department. 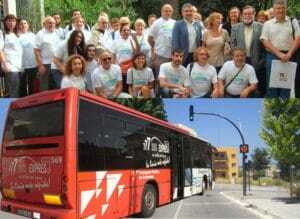 PTP is the only association devoted exclusively on the defense of the public transport in Spain. For almost 25 years we’ve been promoting passenger’s public transport and defending rail freight transport use, within a global sustainable mobility framework of social equality and environmental protection. 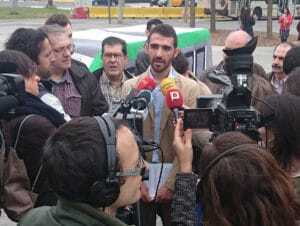 PTP is an independent body, free of political and corporation interferences, and has its own statements and proposals. In order to enforce our goals, PTP is in constant communication with other entities. 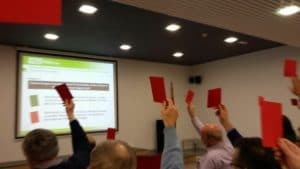 PTP is a member of Transport & Environment European Federation and European Passenger Federation and also takes part in Platform for the Defense of Air Quality, Platform for the Defense of Public and Social Railway in Camp de Tarragona and Via Vallès Association. In addition to the defense and promotion of the benefits of the public transport, PTP is known for its exhaustive reports and proposals, as well as other pedagogic resources. In order to materialize improvements, a solid technical defense and lots of perseverance are necessary, given the different actors involved and opposed interests on mobility subjects. Since 1993 PTP is committed to countless sustainable mobility projects. Thanks to PTP’s efforts, the passing of some laws on support of the public transport, mobility services such as Car-sharing, some express bus lines, or the progress on pricing integration have become a reality. 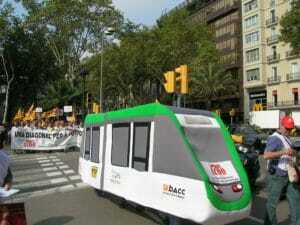 PTP’s support has also been fundamental for the implementation of the first modern tramway network in Barcelona Metropolitan Area as well as the first bus lane projects on highways or tram-train systems in Catalonia. We have countless press releases, technical documentation and infographics from 1999 on, when we computerized our association’s work for the first time. You will find our documentation tagged with topics. Here you can find technical documentation with proposals for the public transport, as well as allegations to several projects and study programs from public administrations. They are tagged with topics. We are users of public transport with different profiles and careers cooperating to generate broad consensus and achieve good investments around public transport projects. More than 300 members do their bit to raise the voice of the public transport.